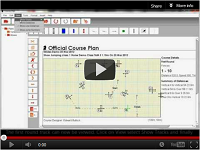 Software for professional and amateur course designers. Courses that are built with a pre-planned design are always better than those made up on location, but all initial designs require a considerable amount of editing and re-editing until a viable course is created. With Strides you can make one plan and edit it until you reach your creative genius. New courses can be started where you left off with the previous course or with the jump numbers removed. Strides Course Design makes it easier to build more courses with same set of fences, so you don't have to move fences between classes unnecessarily. Course plans generated by Strides Course Design can be printed for assistance during course building and for display at ring side. All designs can be saved into the Strides database for further editing. Take the guesswork out of designing courses and use Strides Course Design. Strides Trainer is software formulated specifically for equestrian jump trainers and riders. A trainer can design exercises for an impending clinic so that organisers can set up before they arrive. A rider can get far more out of each lesson by recording each exercise with associated comments into Strides Trainer. How many times have you received a great lesson, but can only remember pieces of it. Strides Trainer is the solution for this. Take more home from each lesson with Strides Trainer. Strides Premium has the combined features of Strides Course Design and Strides Trainer. This package is ideal for equestrian organisations such as pony clubs, show and event organising committees, equestrian businesses, trainers and for riders who have an interest in both riding and course design. If you already have Strides Trainer or Strides Course design you can purchase an upgrade to Strides Premium. Strides Lite is a web application for basic course design runs within a web browser. It can be used for basic course design, editing and media to view downloadable courses. Strides Lite has been designed a simple lightweight online course design tool and as an "In the field" editing tool for those who have Strides Course Design or Strides Premium. All Strides Lite courses designed on the Strides webpage www.strides.co.nz/course_plans.php. All public courses can also be viewed on this page. Users of Strides Course Design and Strides Premium that have a current Strides Lite subscription will be able to upload their courses to the Strides Web server for further editing and then download back onto their or other computers that use Strides software. Strides Lite can also be published on this site by making it available for public viewing or to remain for your own private viewing. You can also embed a Strides Lite course onto your website. All customers of Strides Course Design and Strides Premium will get a year's subscription of Strides Lite. Purchase of Strides Lite will be subscription based. You can purchase a subscription for 7 days(ideal to test and evaluate), 30 days or for a year. To use Strides Lite there is no download or license key necessary. All you need is a current subscription and to log into the Strides webpage www.strides.co.nz/course_plans.php. You can use Strides Lite on any device with a modern web browser.